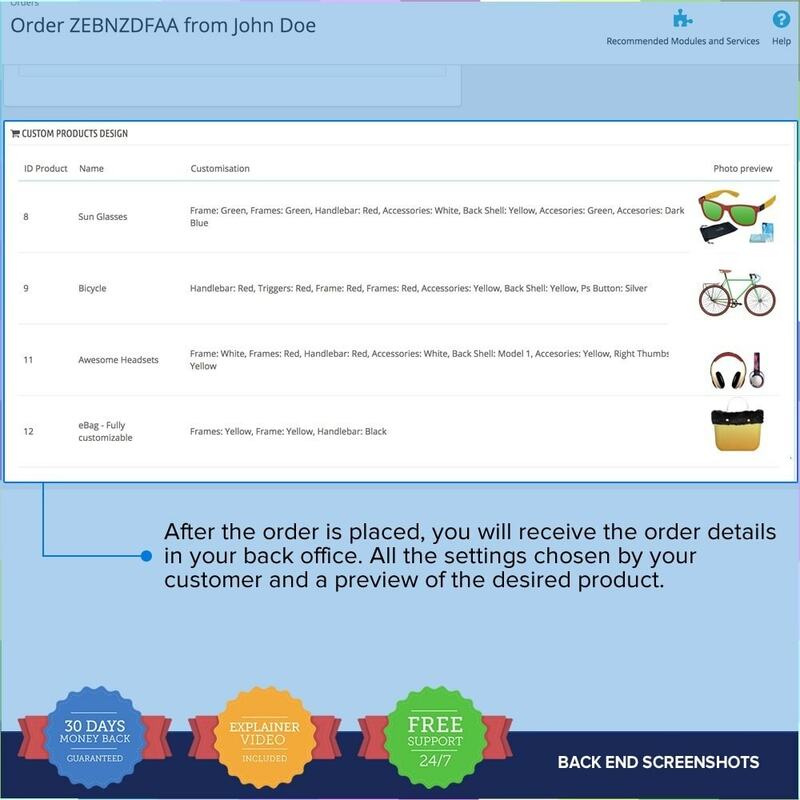 The first composer module is bringing all the necessary features you need to allow your clients to order customized products. 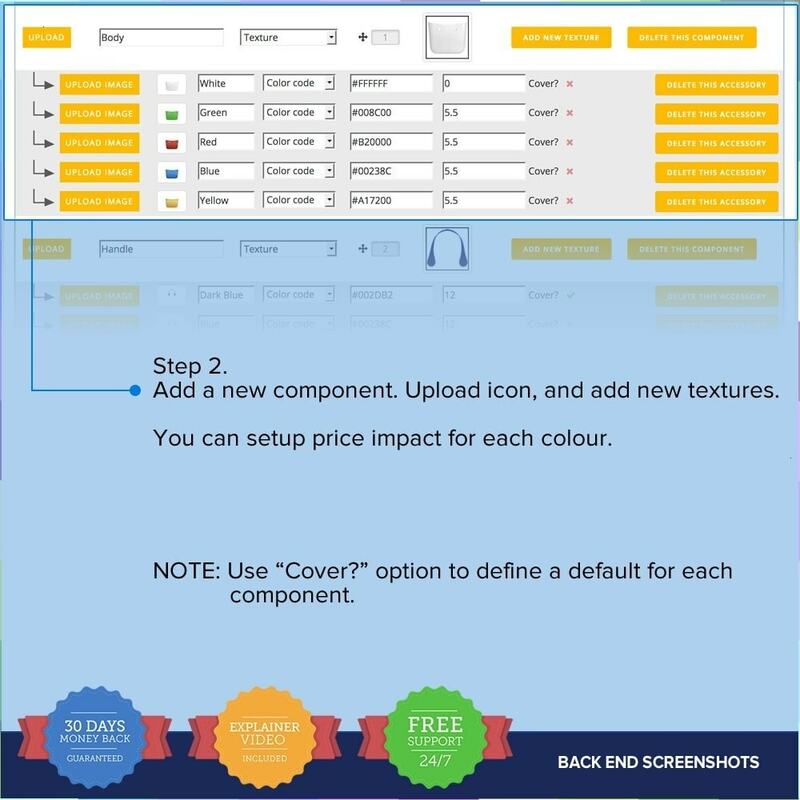 Most complex product composer so you don't need to buy more than 1 module. 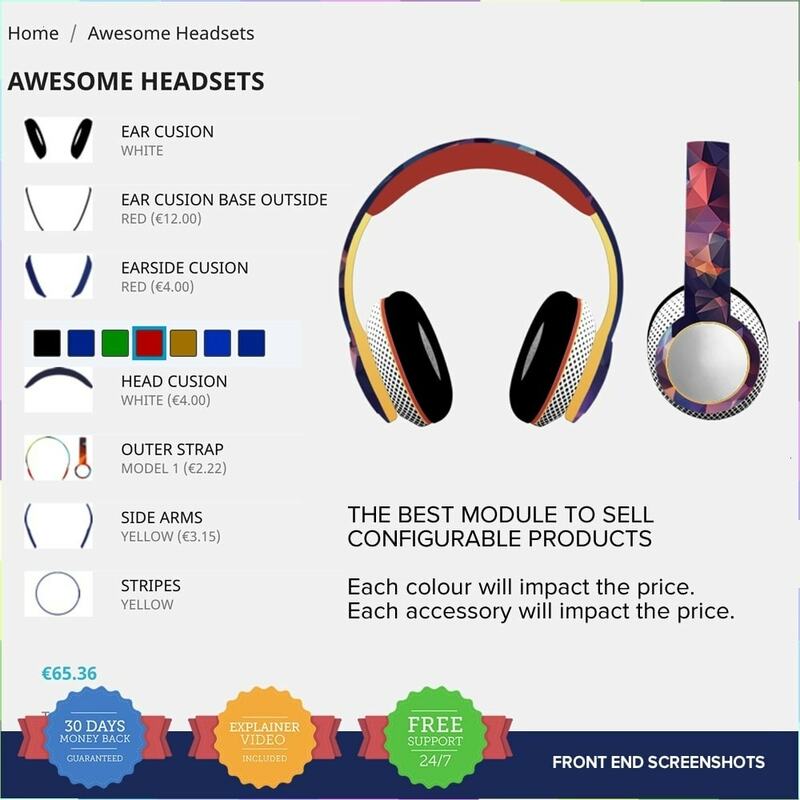 Product Composer PRO Prestashop module gives you the possibility to sell configurable products. 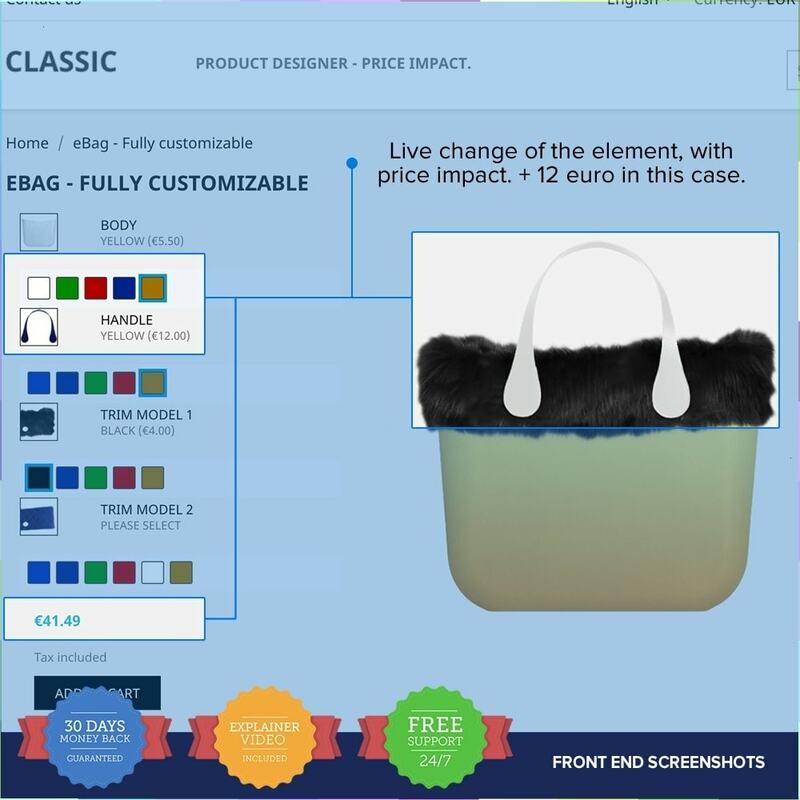 All you need to do is to setup your options for the configurable product and then your customers will be able to play with all the shapes and colours. 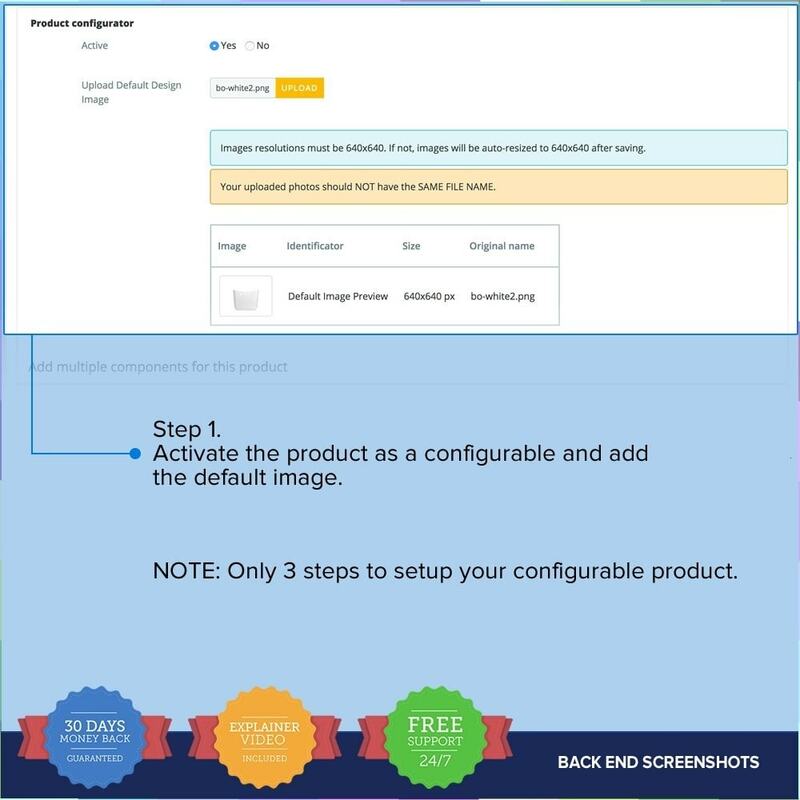 Product Composer PRO module is easy to install and use. 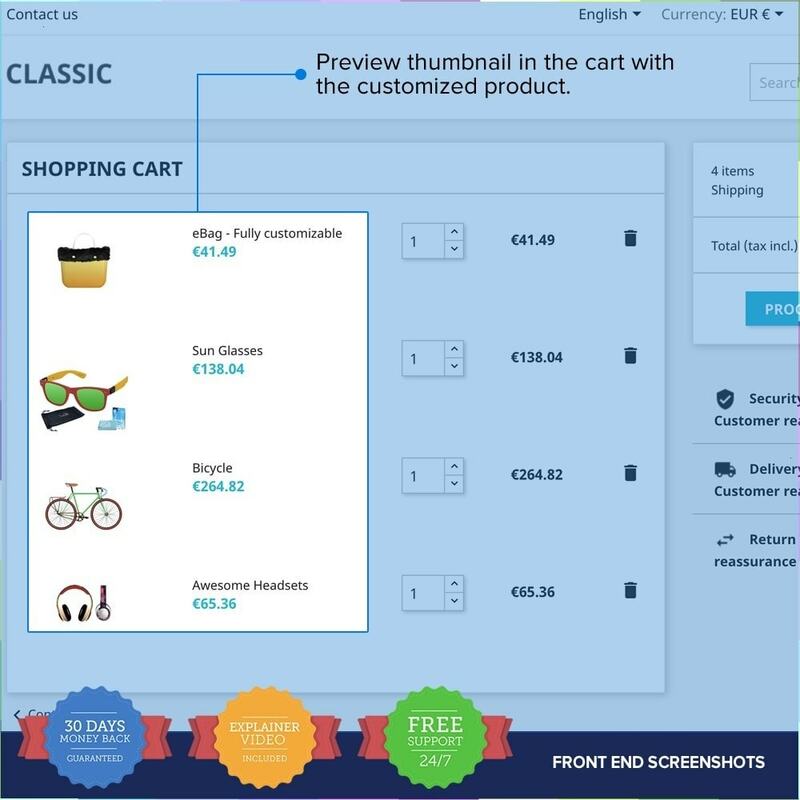 To install, simply upload the zip and start the web based Installation via your Prestashop backoffice. 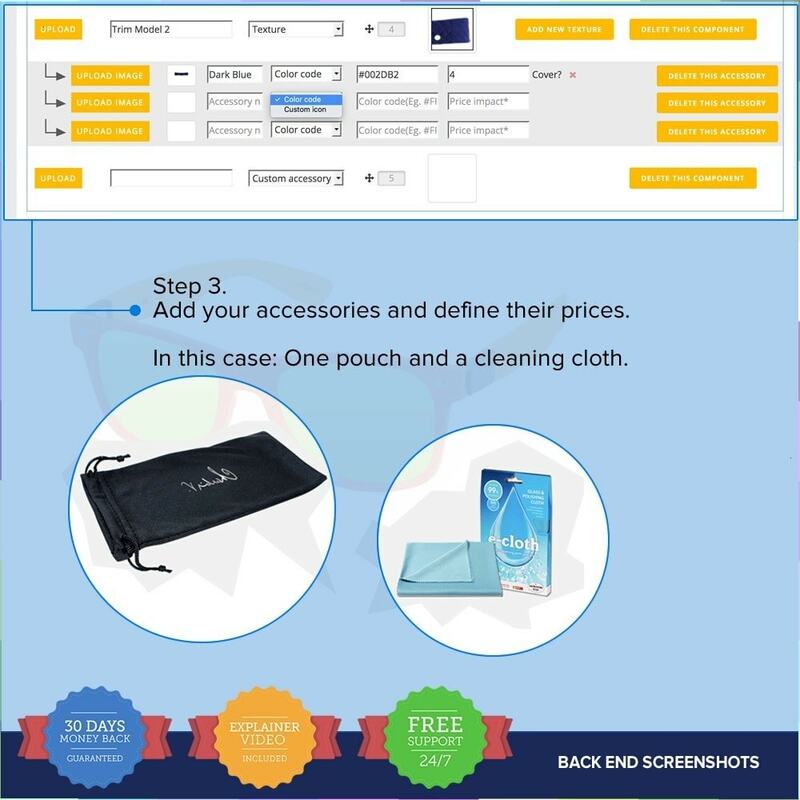 Also, we can perform the installation for you, at no charge. 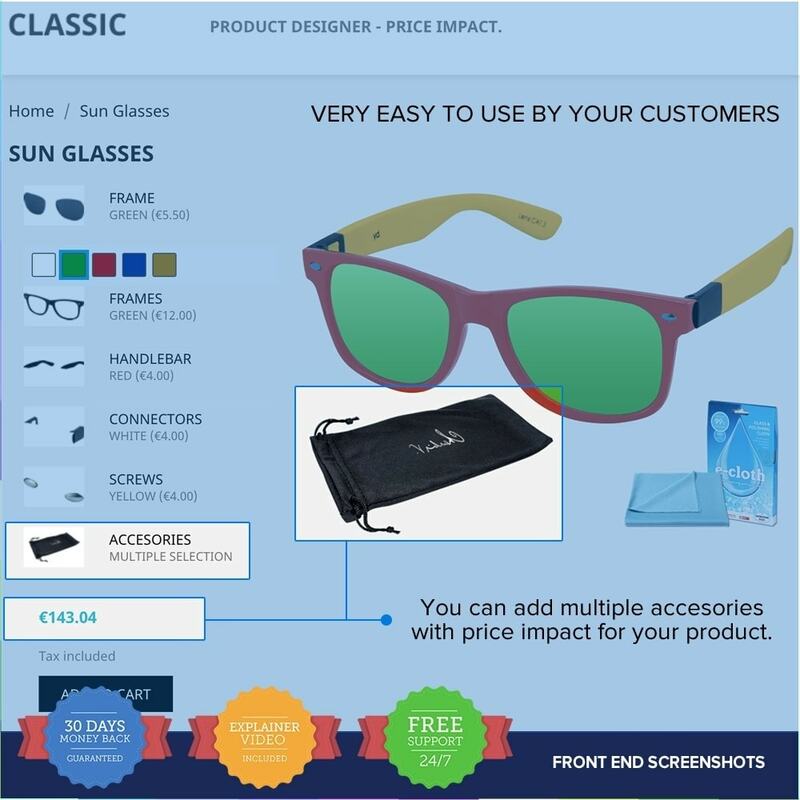 Product Coposer PRO is the most complete and flexible layer configurator on the Prestashop marketplace. 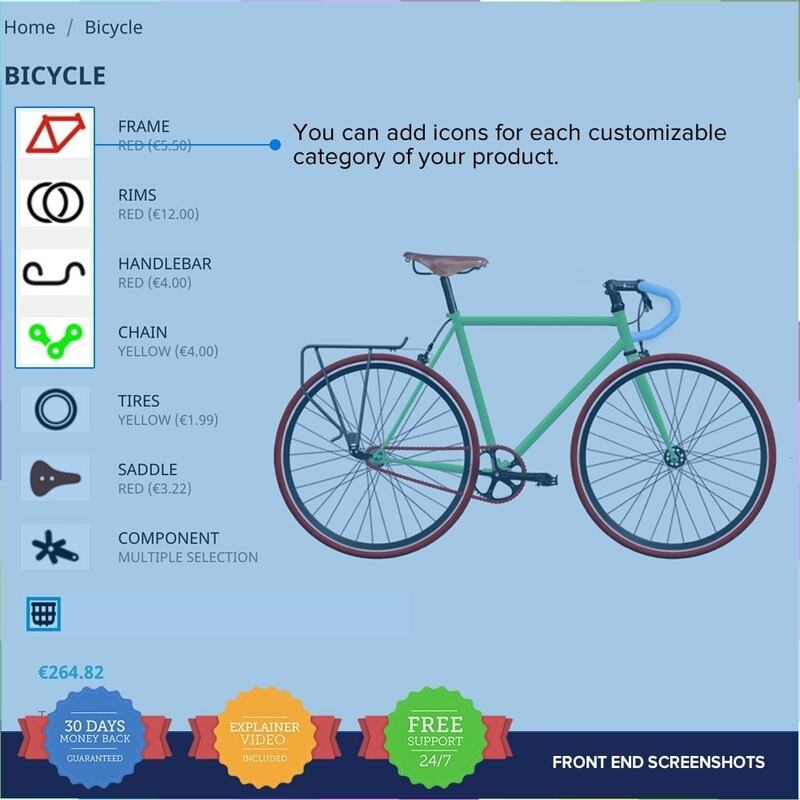 With Product Composer, your product links will be SEO-friendly. 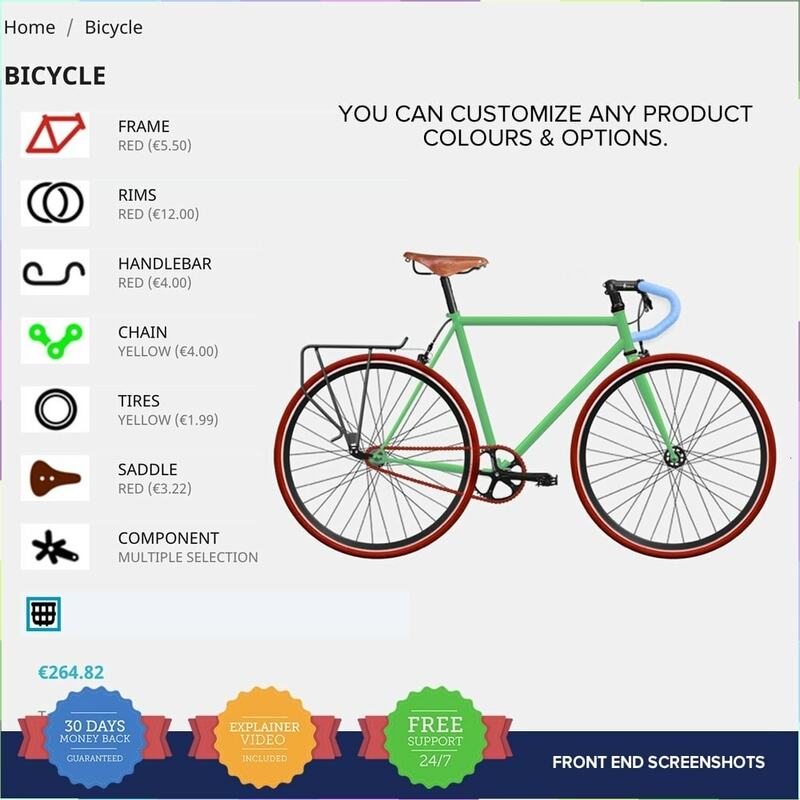 Customize and configure their product according to their needs and desires. 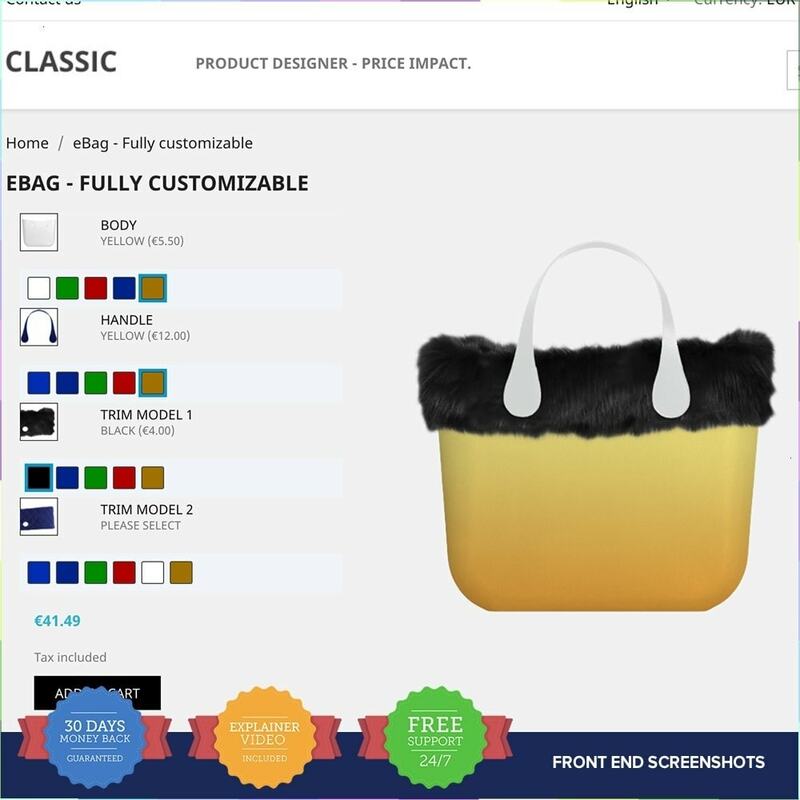 Easily configure and order a customizable product. 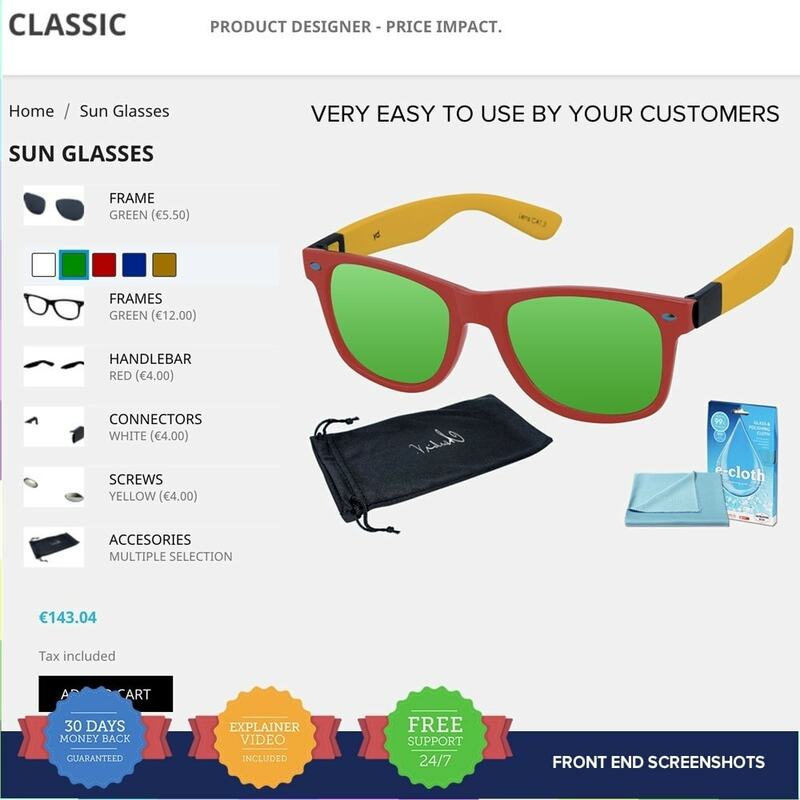 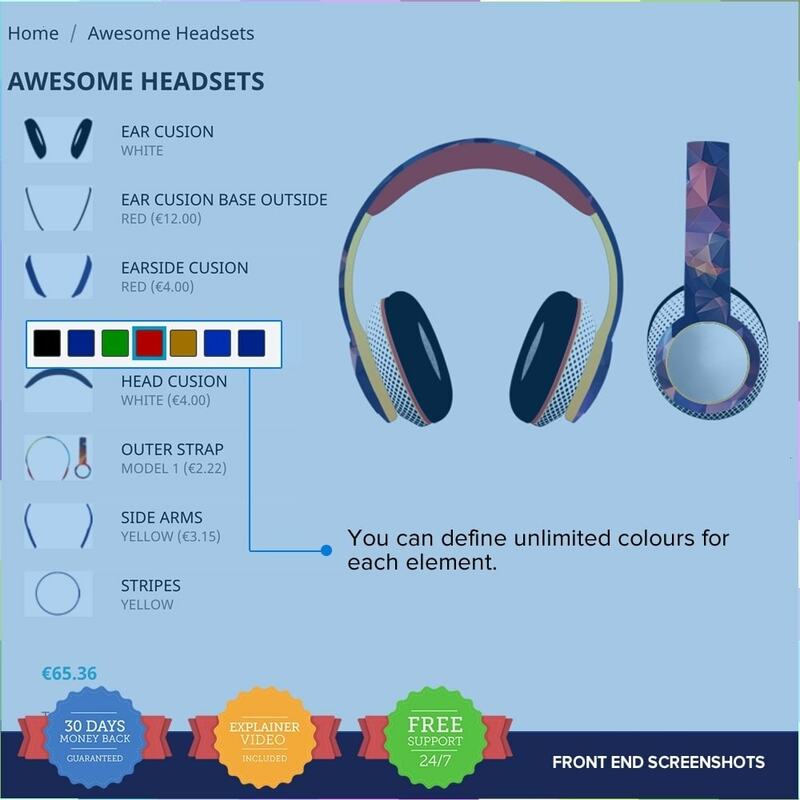 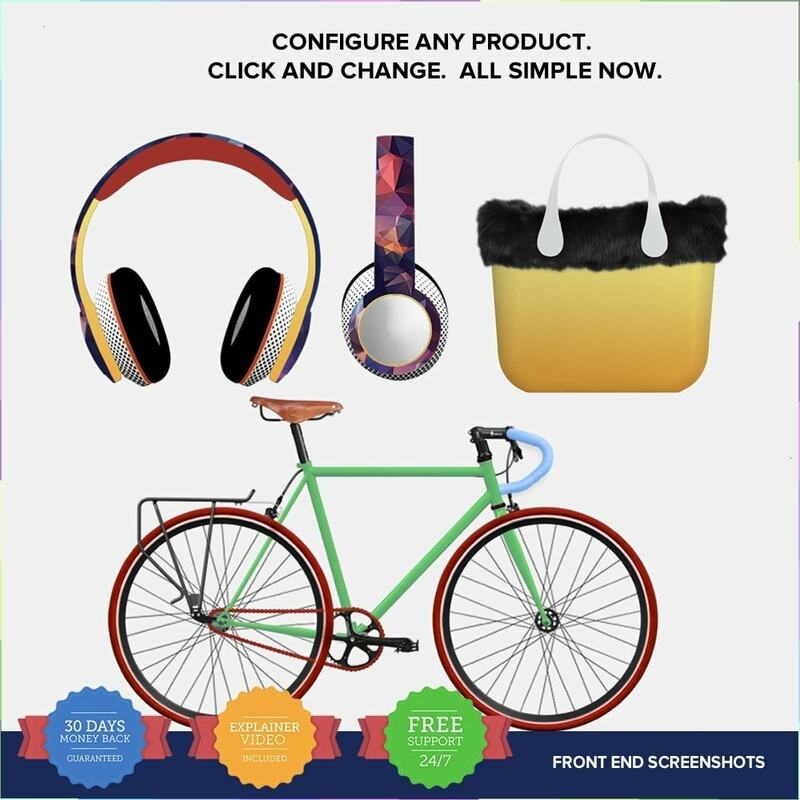 Customize any product like glasses, bike, bags, bathrooms, interiors, doors, headsets, cases, custom products - name it and we customize it!